Unless you’re Bentley, rounded looks are not the way to go for a full-size SUV. There was a rather unfortunate period in the Land Rover Discovery’s history where the tall SUV had to shed its famous name in the North American region. The Discovery Series I and Series II had gained such a bad reputation for reliability among Americans that Land Rover decided to call it the LR3 (a nod to this model being the Series III in other regions) and then followed that with the LR4 (for the Series IV). Throughout that period, the Discovery never lost its defining right angles. Until now that is, because the first Discovery to be introduced to America since 2004 looks completely different than any of its predecessors. It doesn’t take 20/20 vision to see that the muscular angles of the old Disco have given way to soft lines and curvaceous sheetmetal. According to what Jaguar Land Rover Australia’s managing director Matthew Wiesner told , the new design may be hurting Land Rover’s bottom line. “The new shape is certainly going to test some of the traditional owners of Discovery,” Wiesner says. “I think the size is quite deceptive until you see it in the flesh, and get in there and have a play.” In this case, we don’t think size is the main thing holding customers back. 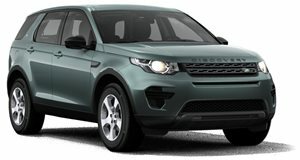 Smaller SUVs can get away with curvaceous lines easily, just look at the the Range Rover Evoque and . Larger SUVs, however, seem as if they would sell better with more stout lines defining them. Even Wiesner admits Land Rover’s mistake. “...In some cases, the traditionalists are going to maybe pine over the squarer shape of the previous four iterations,” he said. One by one, automakers are beginning to realize this. Nissan recently , realizing the rounded styling of the previous SUV was less favorable to buyers. At current, it’s a little too late for Land Rover to go back, so all it can do is hope. “Hopefully traditional owners will warm to the new shape, but we’ve certainly had good success at the other end, where we probably didn’t perform as well as we would have liked with the old one,” said Wiesner. Maybe the next generation could see the problem fixed? For the sake of all the , let’s all hope that's what happens.